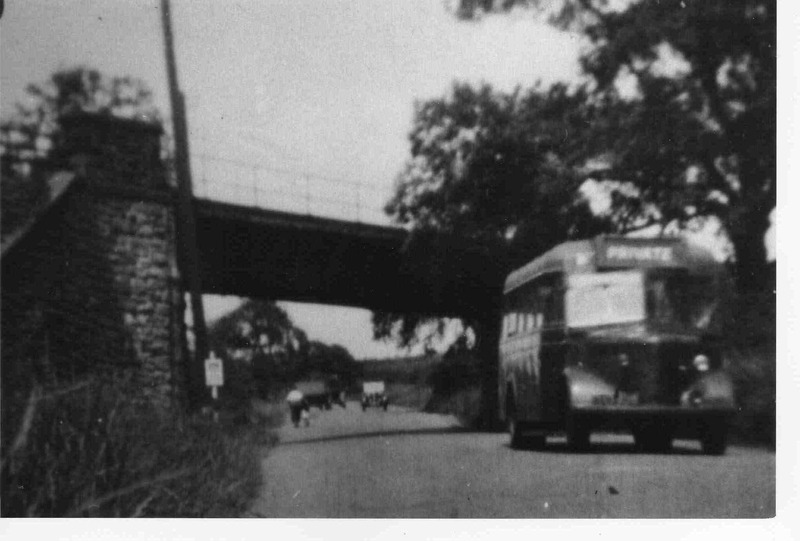 One of Booth’s buses at the bottom of Wales Hill. LMS Railway from Norwood Colliery to Kiveton over the road. Photo courtesy of V. Hopkinson.